In the South of Chinese Hunan Province, there is a mountains called as Nanling which separates the Hunan Province and Guangdong Province. 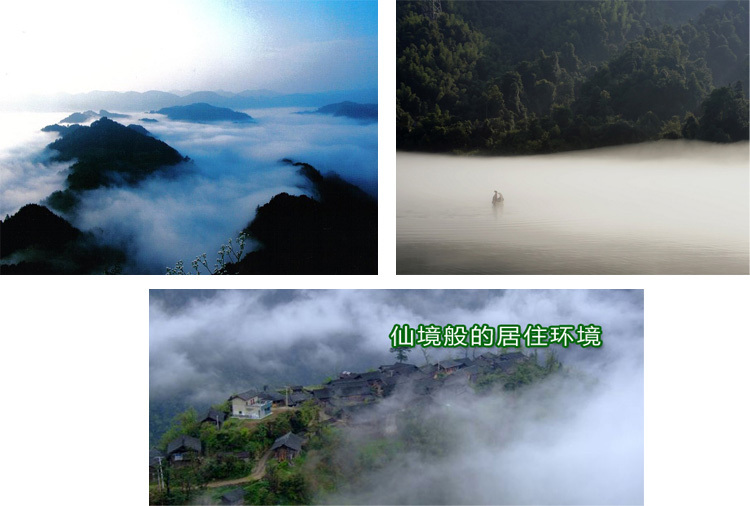 The clouds and mist drift through Nanling Mountains in most of the time of the year, due to the high humidity and high altitude of the mountains. The mountains is covered by dense forestry. And the red soil here is rich in iron and other minerals. 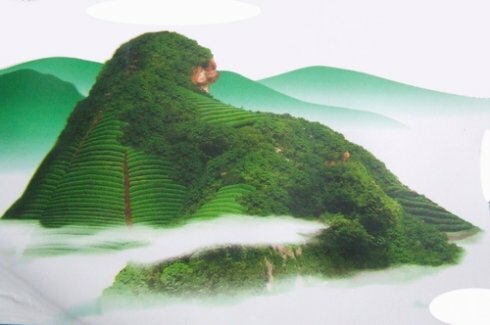 It is the ideal place for good quality tea growing. Among the mountains, there is a rock mountain peak looks exactly like a dog head. The tea farmers here had started planting tea here since around one thousand ago. A story tells that in Chinese Song Dynasty (960-1279AD) , a student from the foot of the dog head mountain passed the strict imperial exam. (In Ancient China, imperial exam, Keju is very important system of the country. The one who pass the exam start getting the qualification to be an imperial official). The Dog Head Tribute tea is made by the local special long shoot tea cultivar. This cultivar is featured by the sweet fruity fragrance of the the tea made by it. And it contains rich minerals and less nitrogen contents. The tea taste smooth mellow and has rich levels of taste. 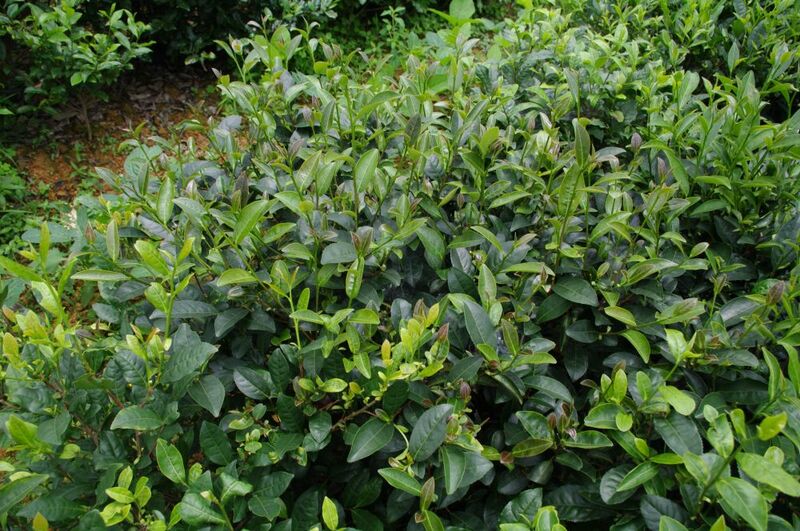 Compared with most of other tea cultivars, the long shoot tea cultivar make less white pekoe. 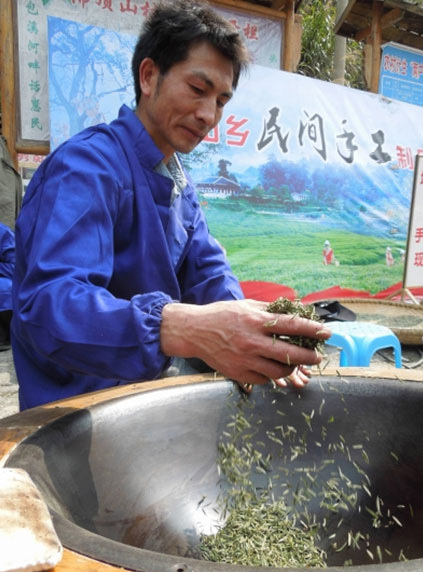 The Dog Head Tribute tea is made by the one bud one leaf in early Spring before Qingming Festival. After the fresh leaves are plucked, they will be spread on the plain bamboo sheet for withering for some time. But the withering of Green Tea is not so intensively conducted as that of Black Tea. Then the tea will undergo frying (sha qing). The traditional frying is done by hand in the thick iron pan which is heated by wooden fire. 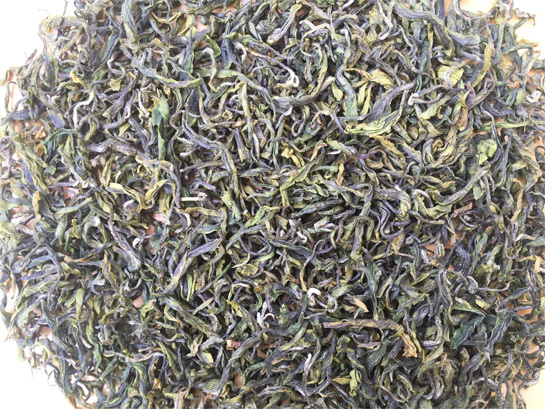 Frying is one of the most critical processing to determine the quality of green tea. After frying, the tea will undergo rolling, rolling is generally done for two purpose. One is to squeeze out the tea juice inside the cells. The even cover of tea juice on the surface is important to obtain the flavor and taste of tea, and also it help form the bright shiny color of the tea after drying. The other is make the shape of tea body. The frying and rolling will repeat for three times for Dog Head Tribute Tea. In Chinese the special processing is called as 三炒三揉, San Chao San Rou. After the last time frying, the water content in the tea leaves is mostly gone, and the tea shape is fixed. The final dry of Dog Head Tribute Tea is conducted by charcoal baking. The nearly dry tea (around 10% water content left) is put on the surface of bamboo basket. And under it charcoal is burning to heat up the tea to dry enough. During the baking, the tea need to be stirred frequently to be evenly heated and avoid burning. And in this processing, no any smoke is allowed to make by charcoal burning. The traditional charcoal baking can make the best flavor of tea. This is the final product of Dog Head Tribute Tea.